Video proves that Jedi Master Bruce Lee would have been unstoppable! 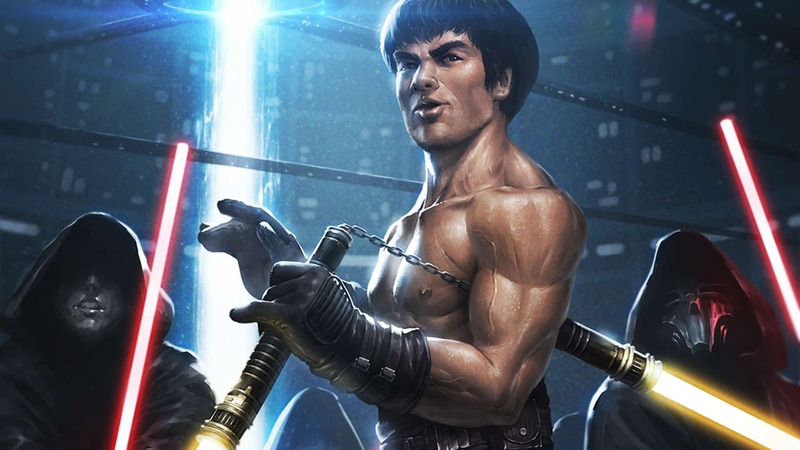 Fan video proves that Jedi Master Bruce Lee would have been unstoppable! If I ever came up to you and told you that Bruce Lee might have been one of the greatest Jedi Masters of all time, you would probably laugh at me and walk away. Well, now I have video proof of Jedi Master Bruce Lee! 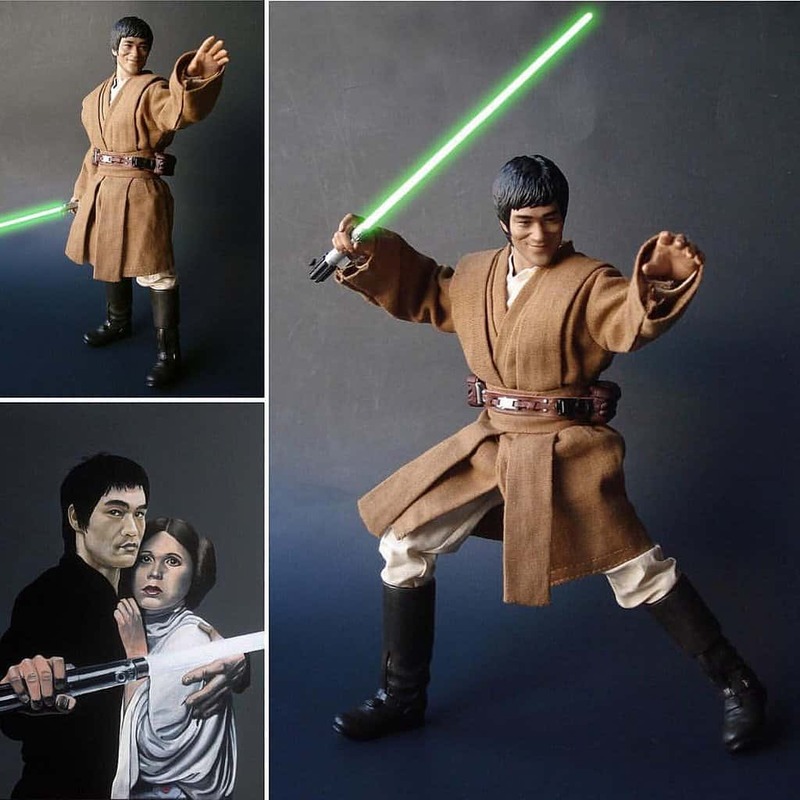 The late actor, who was one of the most famous martial artists in the world, has been depicted wielding lightsabers in fan artworks in the past. Now, you can see the Martial Arts Jedi Master wield it in the best way possible: in motion. Earlier in January, an unlikely mash-up of Bruce Lee and Star Wars surfaced online. In the mash-up, a fan called Patrick Nan had edited a scene from Fist of Fury (1972), by giving Lee and his attacker lightsabers. The best part? Lee’s lightsabers are… pretty unique. The scene starts off with Jedi Master Bruce Lee entering a room, where his attacker waits for him, red lightsaber drawn. 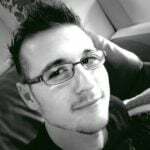 Bruce, being the incredible Force user that he is, ducks below the attacker’s offences, and uses his agility to surprise the attacker. Lee then pulls a pair of nun-chucks out of nowhere (I suspect he used the force to hide them). He proceeds to fire them up, with splendour. He then swiftly takes care of the attacker, using mad Jedi skills. Oh, and he throws them to the ground at the end, but I think that might just be a ruse to make them invisible again. Also, yellow blades? That is the perfect little touch right there. All in all, the fan edit of the fighting scene in Fist of Fury (1972) is exceptional and should be commended. To think, Lee might have been in a Star Wars movie, had he lived long enough to see George Lucas’ universe come to life. Sadly, however, Lee passed away in 1973, just four years before the first Star Wars movie hit theatres. He may have died young, but Lee’s status as a Martial Arts master has gone uncontested. Now, Mr Nan. Can we get a full Jedi Master Bruce Lee movie, please?